LOS ANGELES -- Ice Cube will perform with DJ Yella and MC Ren, surviving members of his West Coast gangsta rap group N.W.A, at the BET Experience concert in Los Angeles on June 27. "It's just gonna be one of those 'I wish I were there in L.A. nights,'" Ice Cube told Rolling Stone. The concert at the Staples Center at L.A. LIVE will be the first time in 15 years since the group's split, and the first time since Ice Cube, DJ Yell and MC Ren have shared the stage since 1989. "You never know" whether he'll make a surprise appearance, Ice Cube said when asked by Rolling Stone if Dr. Dre will also grace the stage. "It's like, I hope he blesses us with his presence," he said. "But if not, I've been rockin' for a long time without anybody. So whoever shows up, I'm still gonna rock. Whoever don't show up, we still gonna rock." Kendrick Lamar and Snoop Dogg are also slated to perform. 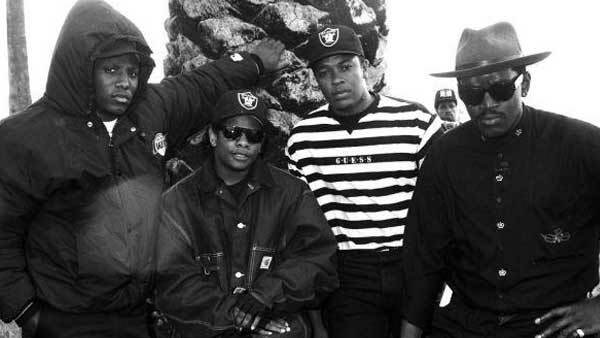 The group's reunion comes months before the release of the N.W.A biopic "Straight Outta Compton," which was produced by Ice Cube along with Dr. Dre and Eazy-E's widow, Tomica Woods-Wright. The movie is set to hit theaters on Aug. 14. The three-day event, "BET Experience at L.A. Live Presented by Coca-Cola," will take place between June 25 and June 28, and will feature performances by Nicki Minaj, Kevin Hart, Bell Biv DeVoe and The Roots among others. To purchase tickets, visit www.axs.com/betexperience.